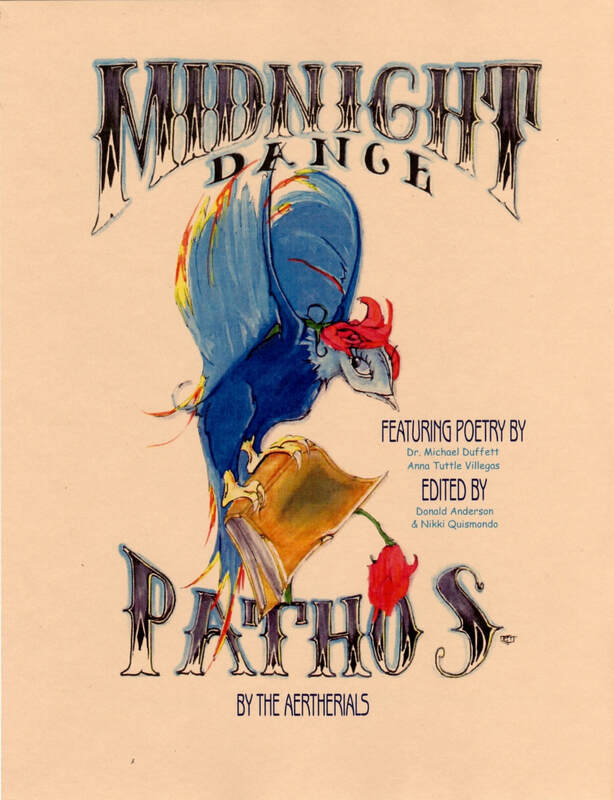 What is Midnight Dance / Pathos, Comb-bound Anthology of Poetry and Art? 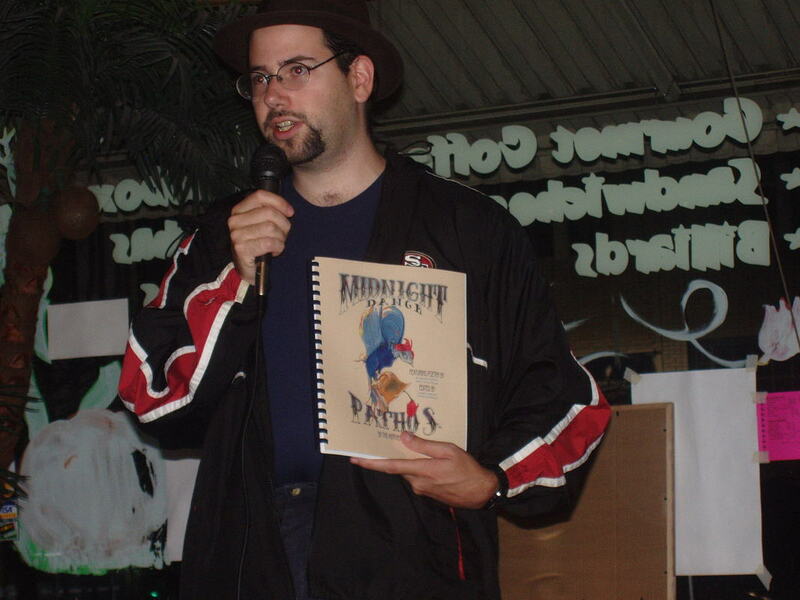 In 2004 Donald R. Anderson and Nikki Quismondo teamed up to coedit and copublish the anthology of poetry and art, Midnight Dance / Pathos, including over 54 contributing creative artists, in comb-bound form locally, printing them up and binding them by hand and stamping them with numbers when they could afford to print up more. The book only got up to the 69th copy before it fell apart due to lack of understanding and compromise between its contributors, as well as due to lack of funds to continue to print up more copies. However, this was a learning step that taught not only some valuable business lessons to the partnership, but also some insight into what could be improved in the search for becoming an actual publishing business at some future point. In 2007 Donald and Nikki published a new anthology, Sun Shadow Mountain, with a few years of more experience and thought put into making publishing actually succeed. 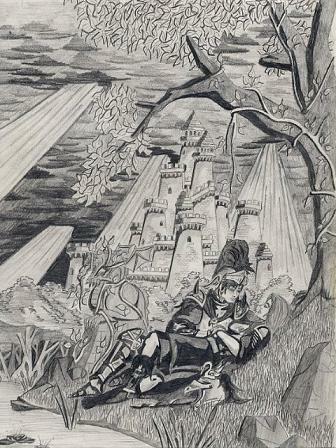 Art below by Tony Melrose © 2004. Above, Donald R. Anderson, co-editor, holding a copy of Midnight Dance/Pathos. Midnight Dance / Pathos © The Aertherials 2004.